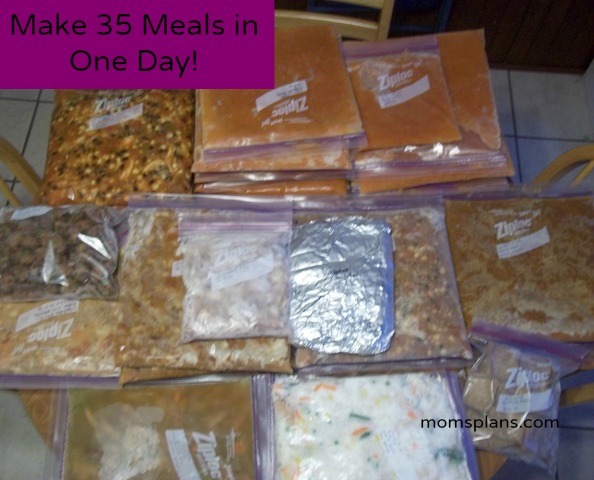 Make 35 meals in one day with OAMC freezer cooking! So many of you have asked for a comprehensive freezer cooking plan–a step-by-step guide to a freezer cooking session, that I decided to create one based on the freezer cooking I did in the beginning of April. If you want to just dabble in freezer cooking and start slowly, this probably isn’t the plan for you as it was a pretty long freezer cooking session. However, if you want to stock your freezer for the month with healthy, clean eating foods, this is the plan for you. I did try to include convenient short cuts to make it easier on you. Here is the list of all the meals. 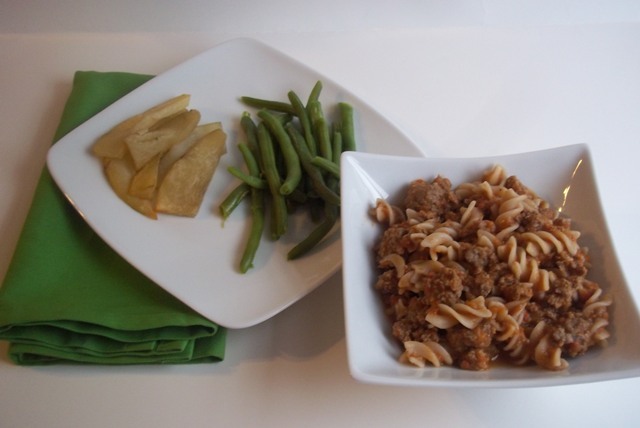 (All meals are dairy free and can easily be made gluten free by replacing regular pasta with gluten free pasta.) The meals are intended to serve a family of 4. NOTE: The Best Tomato Sauce Ever by Jamie Oliver is fairly labor intensive. If you want to not make that and instead plan to just use jarred pasta sauce, freezer cooking on Saturday will go quite a bit faster. I have put all ingredients for the Best Tomato Sauce Ever in italics and listed them separately so you can easily omit them if you don’t plan to make the sauce. Instead, you’ll need to buy the equivalent of 6 cups of pasta sauce to make the Goulash. While the meat is browning with the onions, prepare the Almond Butter bars (double this recipe) and put in the refrigerator. IMPORTANT–tonight only cook 1/2 box of macaroni pasta for the meal you’re serving. 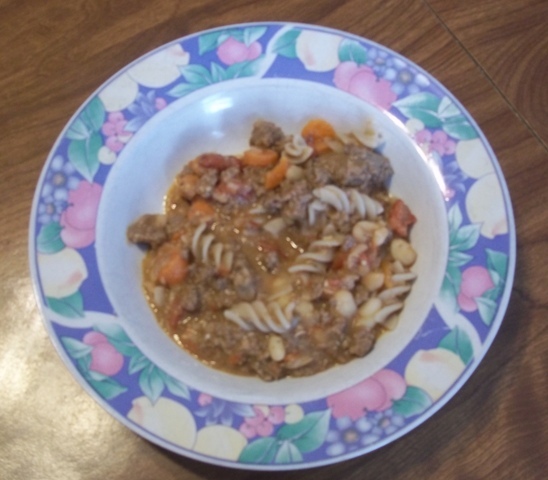 DO NOT cook up the pasta for the 2 meals of Macaroni Chili you are putting in the freezer. Instead, freeze without the pasta and add the pasta on the night you thaw and serve the meal. 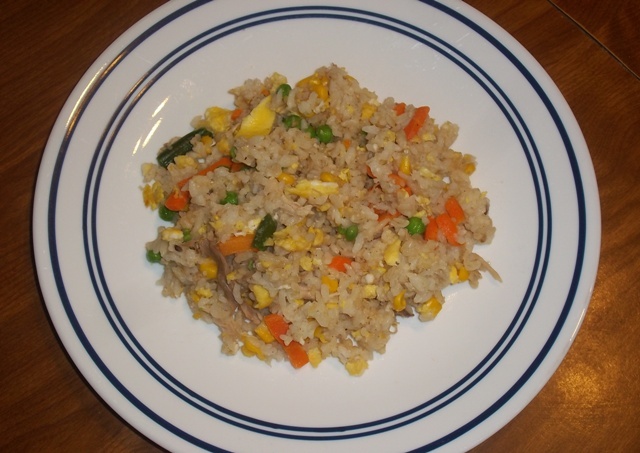 OVERVIEW: Today you will prepare the Baked Oatmeal and cook up 4 servings of the Chicken Fried Rice. Make the rice earlier in the day so you can refrigerate it and let it cool before using it in the meal. Prepare the baked oatmeal, and let set in the refrigerator overnight. Make the Fried Rice for dinner, x4. You eat one meal and freeze the three additional portions. OVERVIEW: Today you’ll make all of the rest of the meals on the list. Be prepared to spend most of the day in the kitchen! Bake the Baked Oatmeal at 350 degrees for 30 to 35 minutes. Serve some for breakfast and freeze the rest. Brown 3 pounds of beef with 2 onions for the Taco Soup. (The recipe calls for 4 pounds of ground beef, but I reduced that to 3 pounds, and it tasted fine!) Drain when cooked through. Cut two butternut squash in half, remove the seeds, and roast it in the oven at 400 degrees for 40 minutes for the Best Tomato Sauce Ever by Jamie Oliver. Meanwhile, start browning 5 more pounds of beef for the rest of the meals. Drain the 5 pounds of browned meat & put in the refrigerator until you are ready to use it. Cook the Chicken & Rice soup, and meanwhile, peel and shred the carrots & zucchini for the Best Tomato Sauce Ever by Jamie Oliver. Roast the second batch of butternut squash. Meanwhile, scoop out the squash from the first round of roasting. Cut 4 onions & 4 red peppers for the first two batches of Jamie Oliver Pasta sauce. While that is cooking, clean up the kitchen so far and put whatever meals are done in the freezer. To easily store, label gallon size Ziploc bags and put in the soups, push out the extra air, and lay flat on a cookie sheet in the freezer so you can stack the meals. If 4 hours has passed, remove the Taco Soup to another bowl and start the second batch of Taco Soup. Cut the spinach and green onion and put in a large bowl along with the rest of the ingredients for the Turkey Meatballs. Mix together, roll into meatballs, and place in the oven to cook. Meanwhile, if the Jamie Oliver sauce is done, put it in a different container to cool and start the next two batches. Take the meatballs out of the oven and let cool. Meanwhile, begin cooking the Slow Cooker Italian Chili. 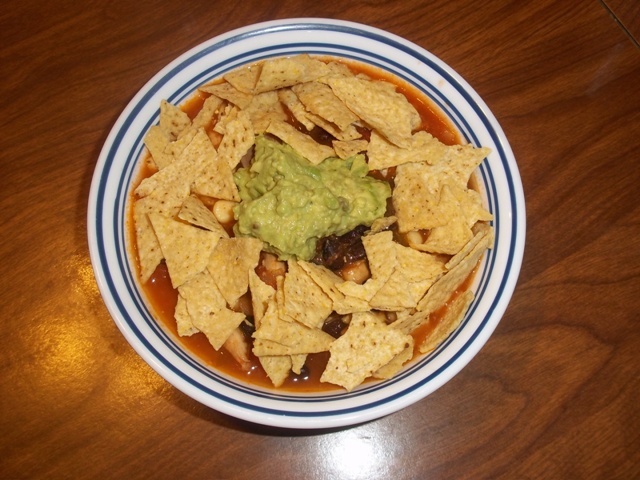 (Since my slow cooker was full with the Taco Soup, I cooked this in a large pan on the stove top for about 30 minutes.) NOTE–Don’t add the pasta now because it’ll get mushy in the freezer. Instead, add it on the day you serve. Then, process the first batch of cooled Best Ever Jamie Oliver Tomato Sauce in the food processor. Turn off the second batch if it’s done and set aside to cool. If the second batch of Taco Soup is done, remove it to a different container to cool. Clean out the slow cooker and start the Mexican Chicken and Bean Soup. If you have a 5.5 quart slow cooker, this recipe doubled will fill the slow cooker right to the top. Cook on high for 4 hours. Put away the meals that have cooled, and clean up the kitchen. You’re almost done! For faster freezer cooling, place the cooled meals in the refrigerator first for a few hours before moving them to the freezer.